For efficient, economical and sanitary trash handling. Linear low polyethylene construction is made from virgin resin for extra strength. 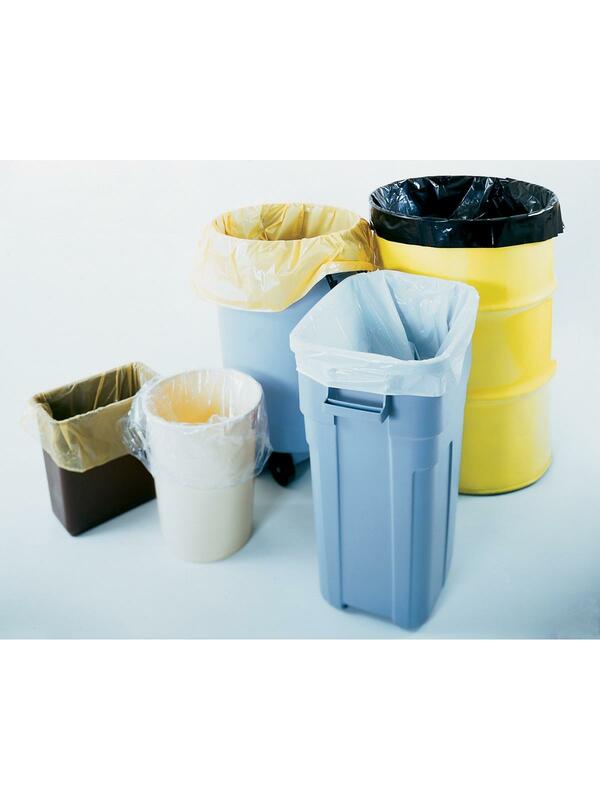 Save valuable time and cost with these strong poly trash bags. 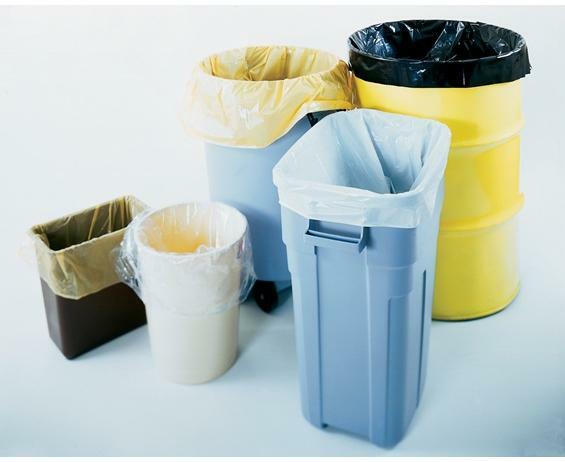 Keep trash can clean and sanitary - no liquid or other stains to contend with. Secured bags seal in odors. Full line selection for all your industrial or commercial needs. Twist ties included with 20 gal. sizes and up. FOB Shipping Point. Ideal for the majority of trash handling jobs. Available in a full range of sizes and strengths. Colors available in Buff or Clear. 2.5 mils thick provides a practically break and puncture-proof bag. Excellent for extremely wet uses. Black in color.